Menstruation in women, to begin with, is a beautiful phenomenon. Though it is not a comfortable process to experience but the beauty of it lies in the fact that it gives the female body, its natural health and well being. Our menstruating years are the ones that mark the most glorious years of life. Having said that, menstruation might not always be a joyful affair. Women do witness irregularities and complication associated with the same. 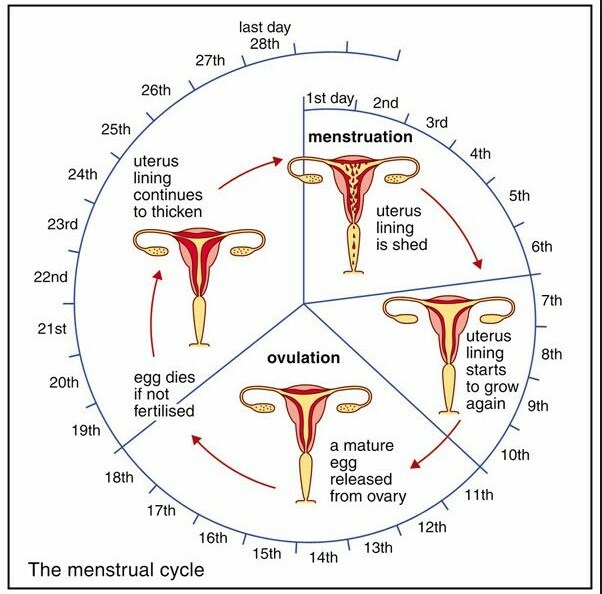 Regularity of menstrual cycle simply means that your periods fall at a regular interval of days. This interval might range from 20-32 days usually.The interval varies from each female to another but if this period does not remain a constant, the condition is referred to as irregular menstruation and the underlying cause remains to be hormonal imbalance. How is that caused, you ask? The monster in chief in the health department these days, stress causes the hormonal balance go off the radar. Irregular diet or surviving on junk might lead your hormones to behave cranky. It leads to multiple health problems, which also includes irregular menstruation.Not getting enough or required nutrients result in irregular menstruation episodes. Going habitual on any of these leads to hormonal imbalance and it harms your body in several ways, one of which includes irregular menstruation. This medical condition is excessively common these days in women, owing to bad lifestyle and dietary habits. It shoots the female reproductive system off the chart and causes menstrual and reproductive disturbances in the body. No medication or therapy has a cure for this and the only resolution lies in lifestyle management, diet and exercise. Certain medication or therapy: Certain medicines and/or therapy for a particular disease causes hormonal imbalance. This gets corrected when the therapy is withdrawn. Certain problems related to female reproductive system, miscarriage, pregnancy or childbirth related conditions are amongst some of the other causes for having irregular periods. What Can you do about your irregular periods? Consulting the concerned doctor and registering your exact symptoms is a crucial step in correcting your menstrual pattern. Not much importance is given to what goes in, as long as the stomach is fed in your young years, but diet does alter your health and appearance more than anything else. Know yourself, see what nutrients are lacking in your body, include supplements whenever required and eat healthy, balanced food at regular intervals. This has a huge impact on your menstruation pattern too. Having a disciplined workout schedule, 3-4 days in a week, sets the body cycle right and corrects most health abnormalities in the body. Stress needs to be managed to have your body systems working fine. Stress management leads to your periods falling in periodically with optimum flow. If in case, the irregularities go on the extreme scale, that is, if you see episodes of heavy bleeding once in 2-3 months or blots of blood spotted once in awhile, you should see a gynaecologist at the earliest to learn the underlying cause.